The human figure in the head of this hammerhead shark tattoo designed for Stefano represents a warrior protecting his family (the flax leaves along the body of the shark), reasserted by the row of spear heads along the right side of the body. 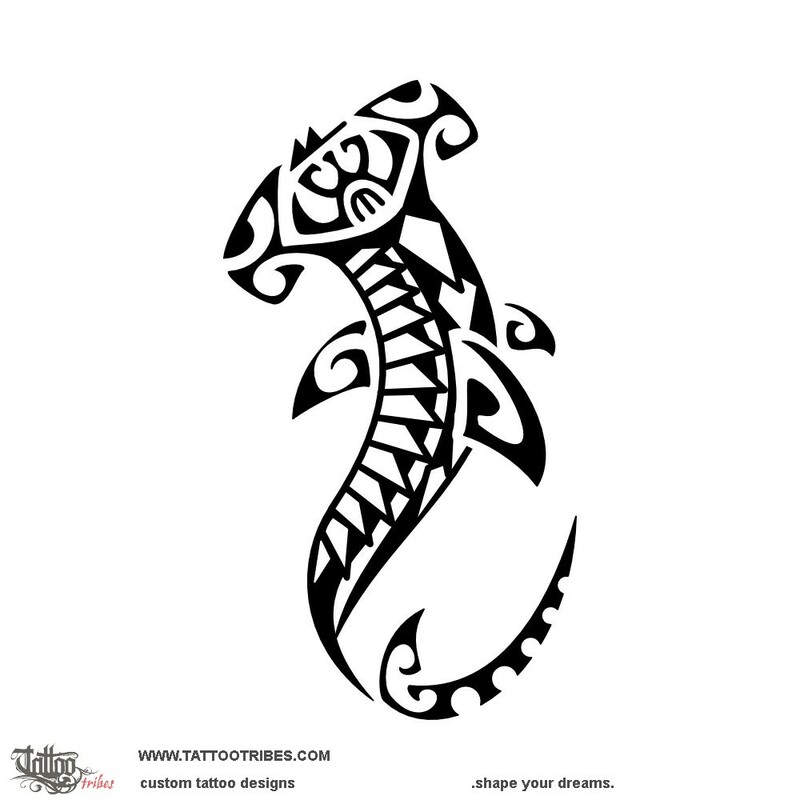 The tail incorporates the hammerhead shark motif (strength and determination) joining it with the octopus tentacle (tenacity and adaptability). A curiosity: in Hawaiian "manō hae" literally means "fierce shark" and it identifies a fighting spirit.